The semifinalists list has been whittled down to five. See who made it. Five of the state's best goaltenders were named finalists for Let's Play Hockey's 2019 Senior Goalie of the Year Award on Thursday. The list, which was whittled down from the 10 semifinalists named Jan. 31, showcases Minnesota's top-tier netminders through the 2018-19 season — players who excel in academics, coachability, citizenship, extracurricular and community activities. The finalists are: Calla Frank (White Bear Lake), Quinn Kuntz (Warroad), Lucy Morgan (Maple Grove), Makayla Pahl (Rochester Mayo) and Taylor Smith (Mound Westonka). The five goalies combined for a 1.57 goals-against average, a .947 save percentage and a 3.83 grade-point average. Let's Play Hockey will reveal the winner on Sunday, Feb. 24, at the 2019 Ms. Hockey Awards Banquet, the day after the girls' state hockey tournament ends. 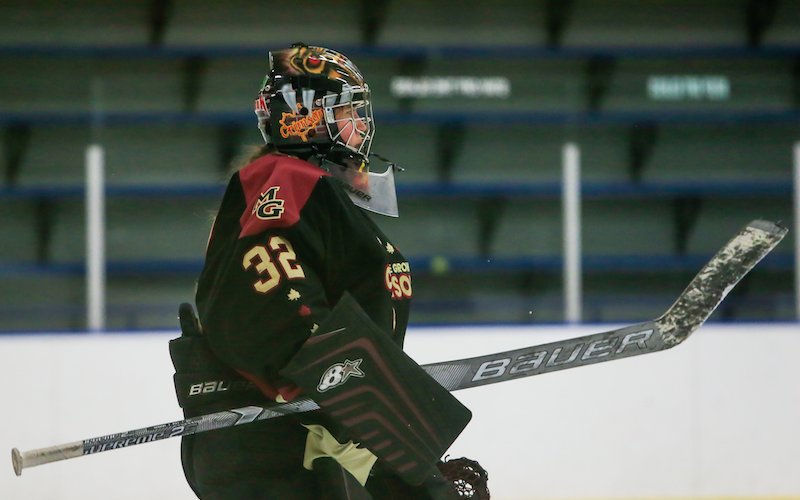 Read what the finalists' coaches had to say about the goalies here.